If you’ve been a follower or subscriber of mine for any length of time, then I’m sure you know I’m a long time fan of designer Brooke Giannetti. 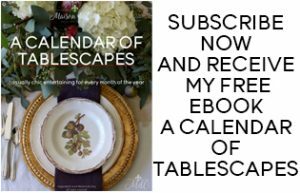 I’ve featured her designs in the pages of Maison de Cinq many times, and I was an early reader of her popular blog, Velvet & Linen. During the time, I followed the building of her dream home, Patina Farm, lapping up each post detailing the process. Hers was one of the first blogs I ever followed, and to say she’s been an inspiration is an understatement. She is probably the single biggest influence on my style, and definitely hands down my favorite designer. 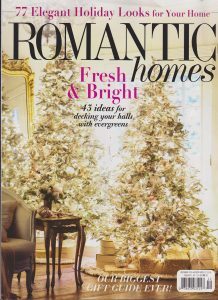 So when I was invited to review her and her husband Steve’s new book, Patina Living, I jumped at the chance! 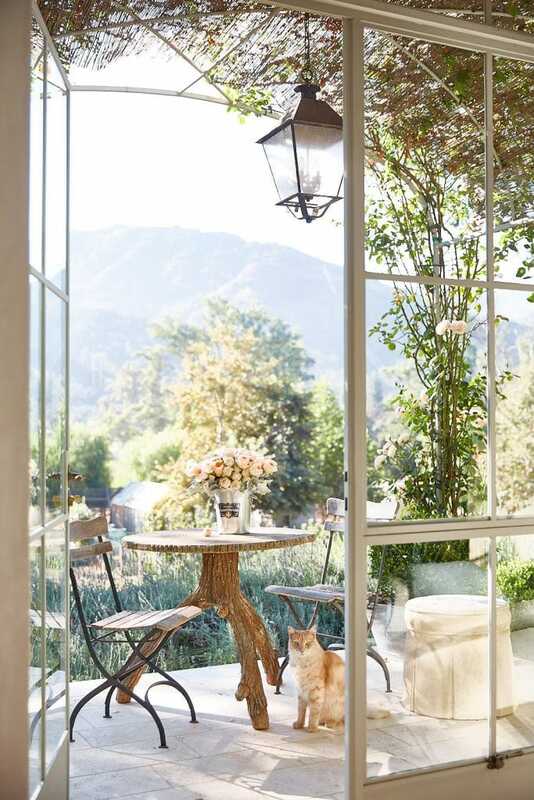 Together they’ve created an enviable life in Ojai, California, on their property aptly named “Patina Farm.” If you already know them, then you know they had two previous books, Patina Style and Patina Farm. But where those two works focused on their gorgeous architecture and interior decor style, this book is quite different. This one focuses on their life on the farm. 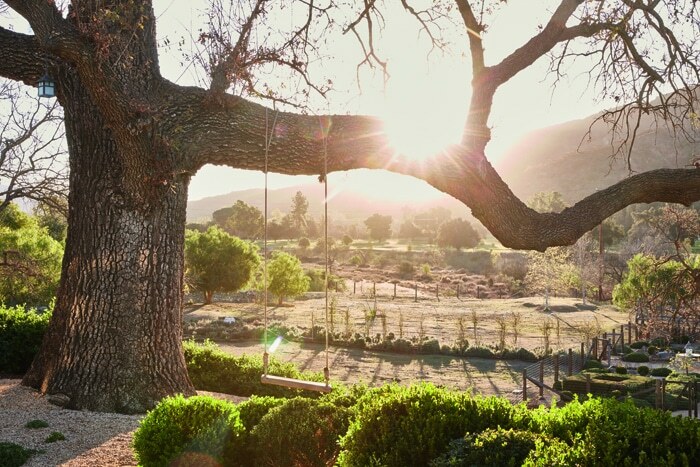 They share how they came to leave their suburban life in Southern California, and how they live with meaning and joy on a high-end homestead surrounded by natural life and beauty. Here is a peek at their amazing life…. 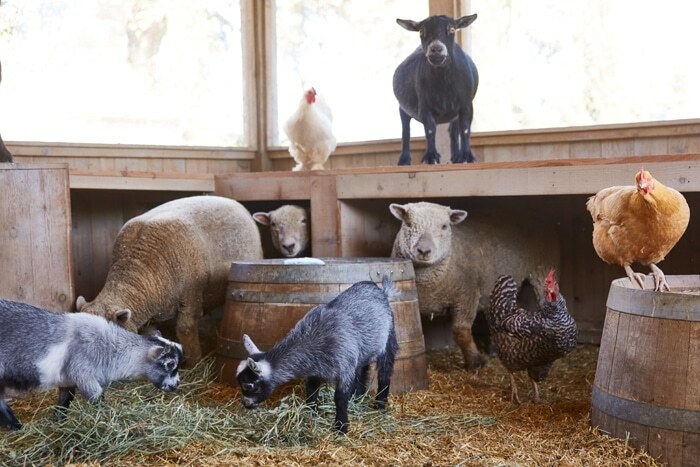 Their animals are truly their passion, and inspire much of what they do. Their goats are one of my favorite things! In addition to the animals, they have a large vegetable garden. 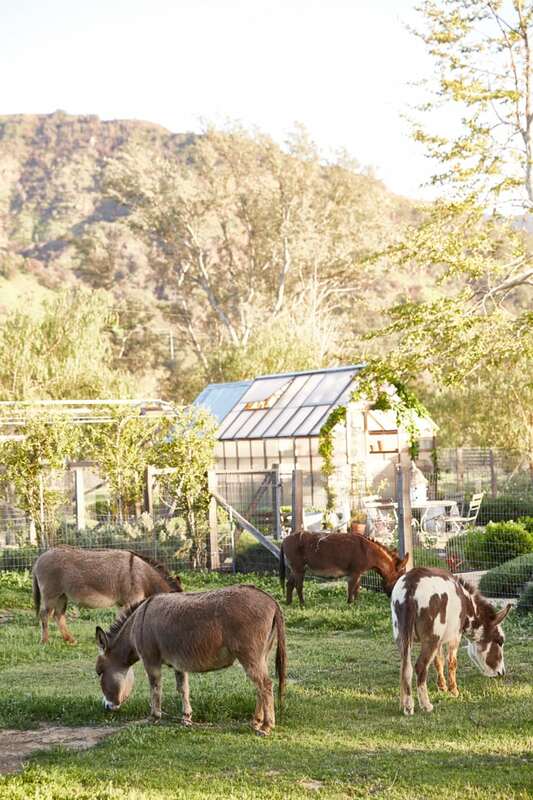 Their farm is an idyllic place, full of donkeys, chickens, goats, sheep, ducks, and dogs! 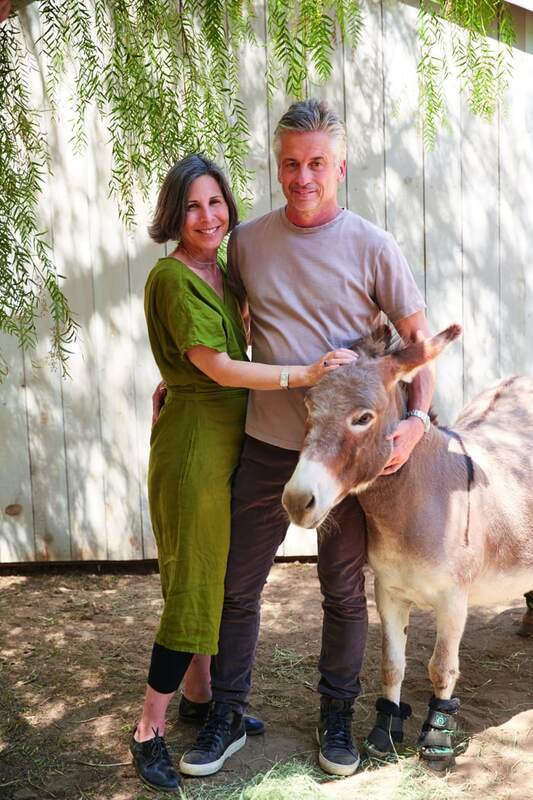 Steve and Brooke Giannetti with one of their adorable donkeys! Coffee (or an aperitif) on the porch anyone?! Oh, and cats! I forgot to mention they have cats, too! Simply stunning. And did I mention I’ve been there? I visited last year and I can attest to the fact that it is as idyllic as it appears! 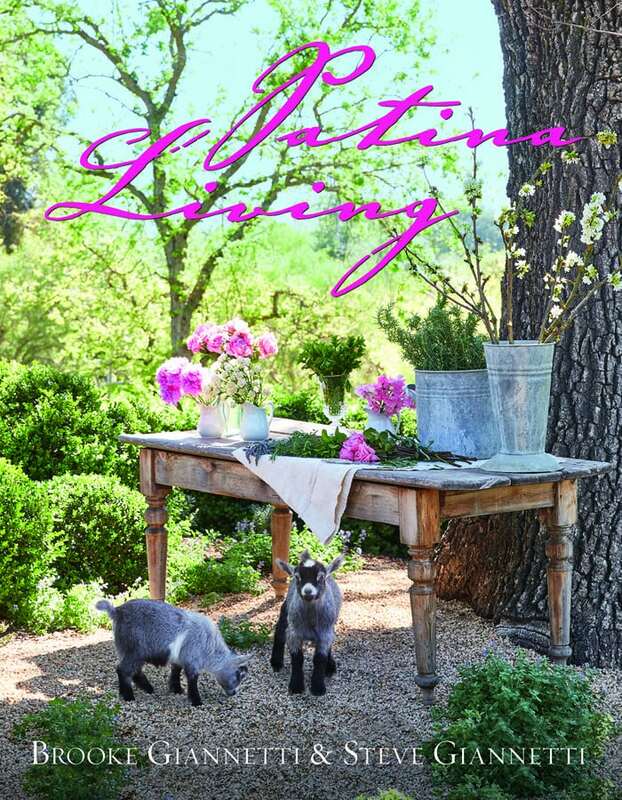 To order a copy of Patina Living, go here. And if you like what you see, I encourage you to also check out Patina Farm, which details the amazing building of their home. And for more of their work and their store, go to Giannetti Home. 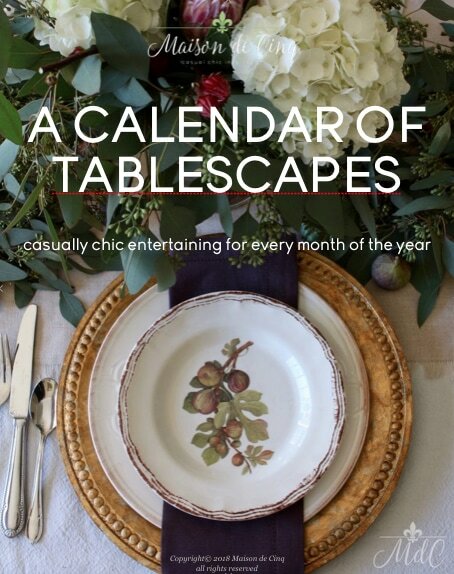 Thank you to Brooke and Steve for inviting me to review their gorgeous new book – I’m honored and thrilled to be able to share such a special place with all of you. I have all of their books and looking forward to their new one. Thanks for the preview Sheila! Oh I’m so glad to hear that Shirley! Their books are so good – and this one is especially sweet with all their animals! Their book looks so pretty as well as their home….I love all the animals ! Do they have a blog to follow ? Are they on Instagram ? Thanks for info. 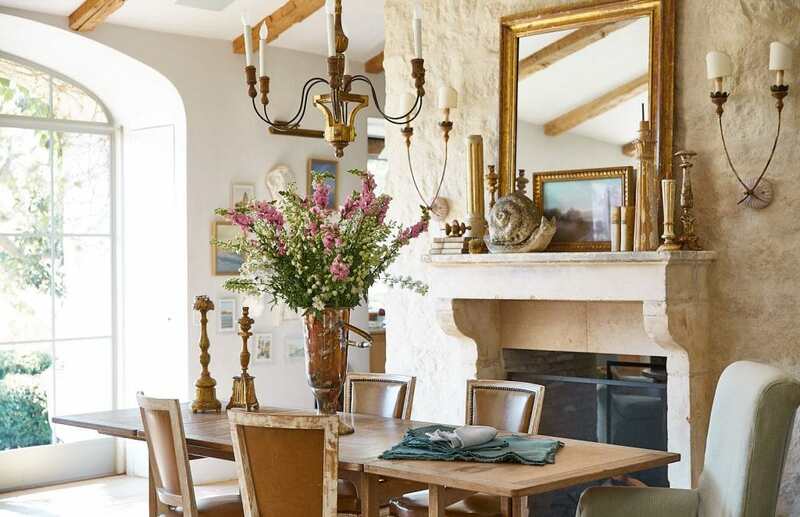 Hi Linda, and yes, their home and all their books are stunning! She has a blog, Velvet and Linen which I linked in the first paragraph. Also, an Instagram account under the same name. And they share so many fun videos of the animals! Thanks so much Kim! And I’m so glad you love them, too! They are amazing aren’t they? !